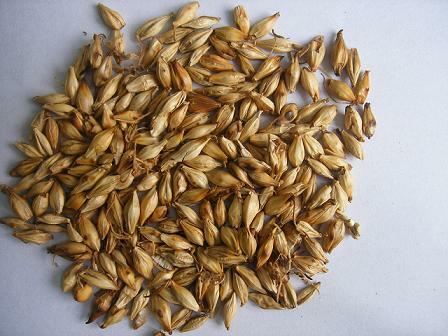 Germinant fruit of Hordeum vulgare L. of family Gramineae. Dry, light yellow, big with embryo. 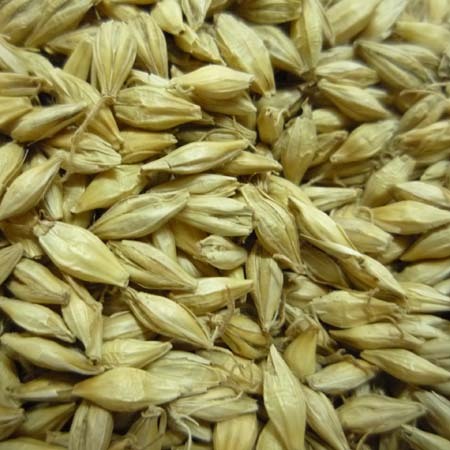 After being cleaned, dipped in water for 4~6 hours, then fished out, kept in suitable temperature and humidity until plumule growing to 0.5 cm, then dried in the sun. Use the unprocessed, stir-baked into yellow or charred one. Sweet, bland; spleen, stomach and liver meridians entered. Promote digestion and invigorate spleen, stop lactation and release distension. It is sweet and bland and has the actions of promoting digestion and invigorating spleen, especially helping the digestion of starch food. For starch food stagnation, it is combined with Shan Zha, Shen Qu and Ji Nei Jin. For infantile indigestion, it can be decocted singly or ground into powder for oral use. For poor appetite and distension after meal based on spleen deficiency, it is combined with qi-regulating and spleen-invigorating herbs. For instance it is combined with Bai Zhu and Chen Pi in Jian Pi Wan from Ben Cao Gang Mu. It can stop lactation. By oral use for terminate lactation or breast distension and pain caused by milk accumulation, 120 g of the raw or stir-baked Mai Ya (or each 60 g) can be decocted singly. In addition, it has the accompanied action of soothing liver. For hypochondriac pain or gastric and abdominal pain caused by liver qi stagnation or disharmony of liver-stomach, it can be combined with Chuan Lian Zi and Chai Hu. Decoct 10~15 g; large dose can be increased to 30～120 g. The raw one is a bit on the side of promoting digestion and invigorating spleen; the stir-baked one, stopping lactation and releasing distension. It is not suitable for woman in breast-feeding period.